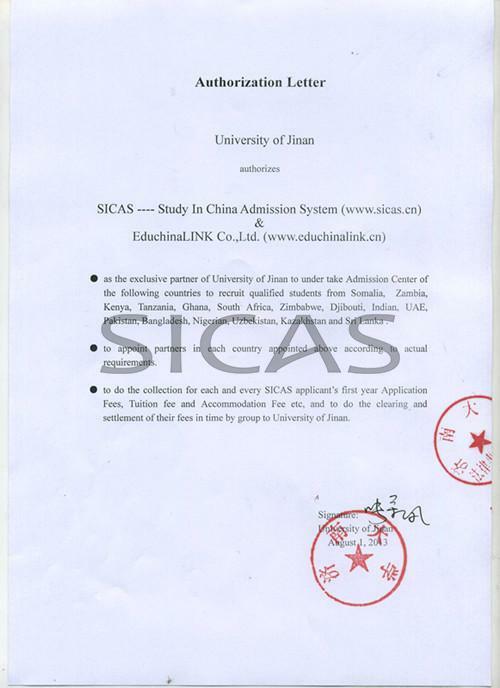 General InformationCourses are divided by foundational, intermediate and advanced classes. 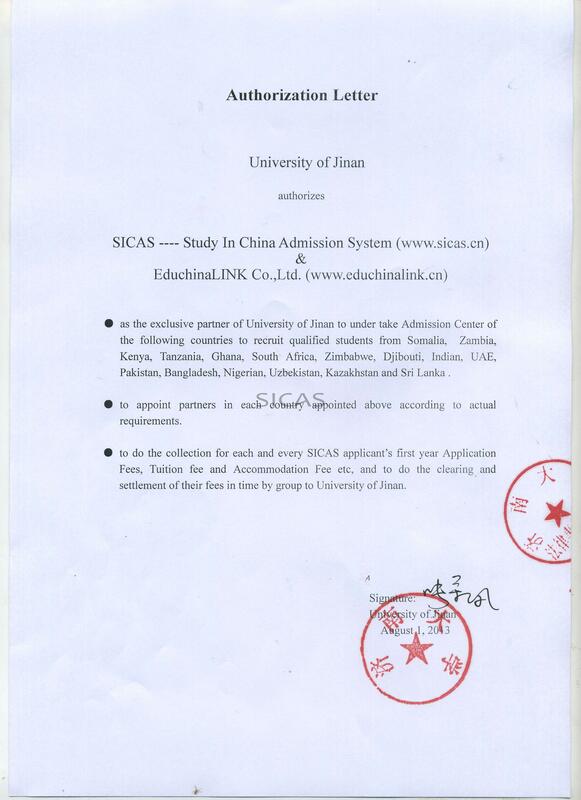 Students who successfully completed the study will be conferred relative certificates of University of Jinan. Basic Chinese, Listening Comprehension, Conversation, Reading, Composition, etc. Professional Chinese, Ancient Chinese Language, Contemporary Chinese, Chinese Classics, Philosophy, History of Chinese Culture, Chinese Calligraphy, Martial Arts, Chinese Traditional Handcraft, etc. • Lessons can also be determined according to specific needs of the students. • Students will study 3 hours every day from Monday to Friday. • Term trips will be arranged to relative historical and cultural sites. 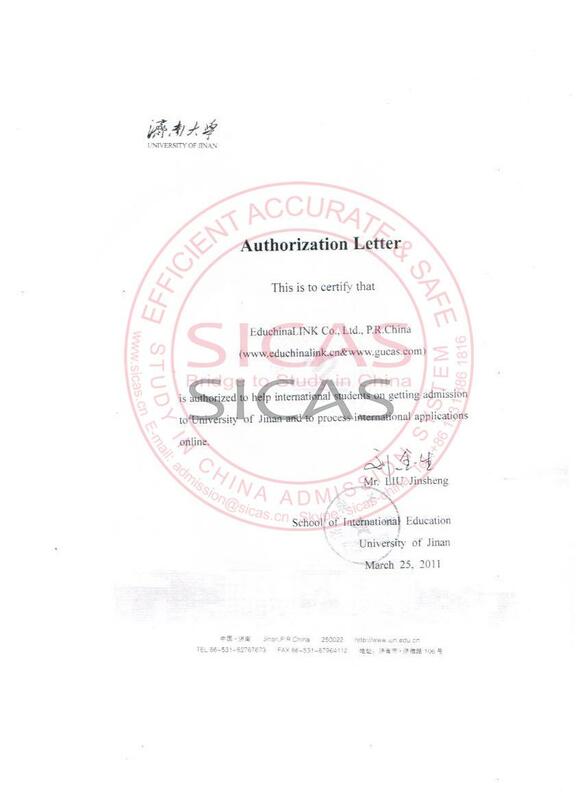 Student tutors (majoring in Teaching Chinese as a Foreign Language) will be arranged to help language learners with their Chinese language study. 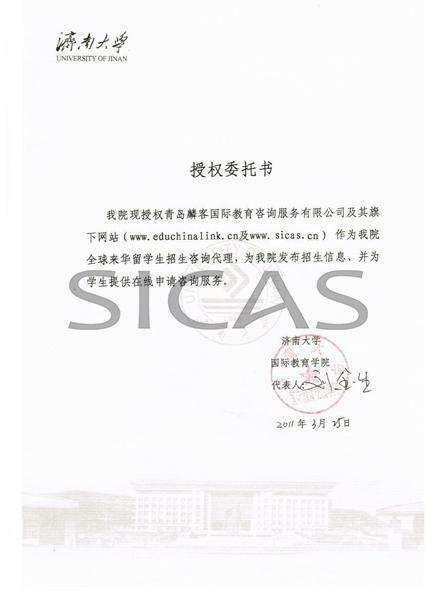 According to the strategy cooperation agreement between SICAS and University of Jinan, the students who get admission in this major through SICAS only have to pay CNY12,000/Year instead of CNY 18,000 /Year every year, also including the first year . 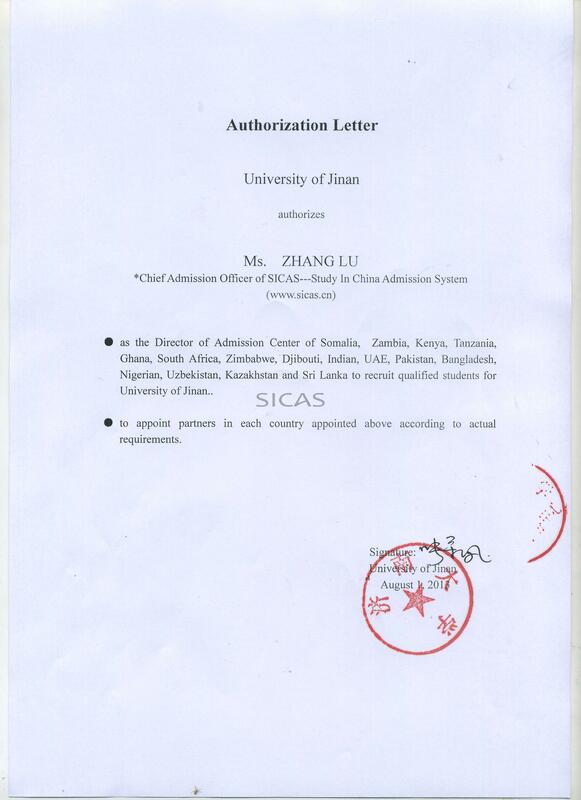 1.The acceptable applicants include students sent by the foreign educational institutions and legal non-governmental organizations and self-paid individuals from foreign countries.